Those who know me can tell you I'm a big fan of pink. And since it's the main color of my flower printed curtains my Christmas decorations always involve a hint of this bright, loveable color. This year I added some light gray and white to it. 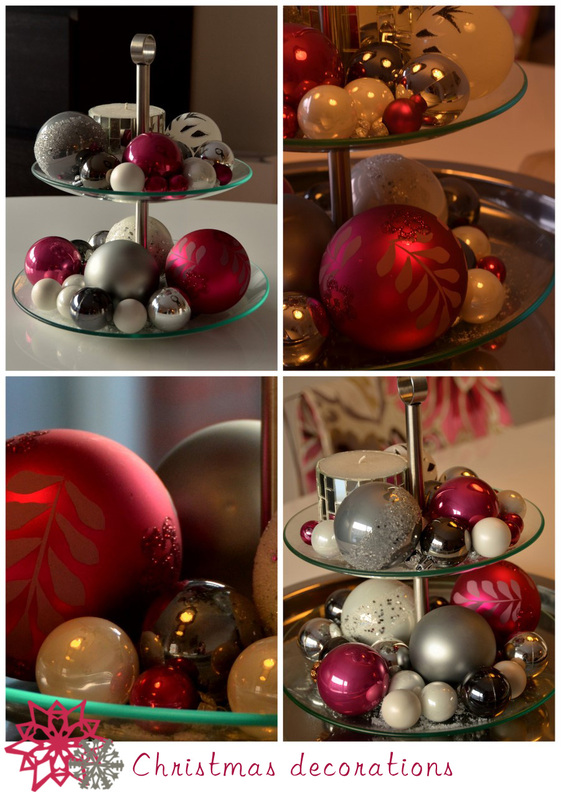 I really love the mixed results so my goal for next year is to find more white Christmas balls. Here a few images of my decorations. Do you like or use pink for Christmas? oooh love the choice of colours! The pink is fab.